Both kids and adults like kiwi fruits. These refreshing sweet fruits are very common foods we have on our tables. We use them as ingredients of our fruit salads and as an element of decoration for our cakes, puddings, and other desserts. Kiwi fruits are known sources of essential minerals and nutrients, especially vitamin C (some studies have proven that kiwis contain more vitamin C than oranges). 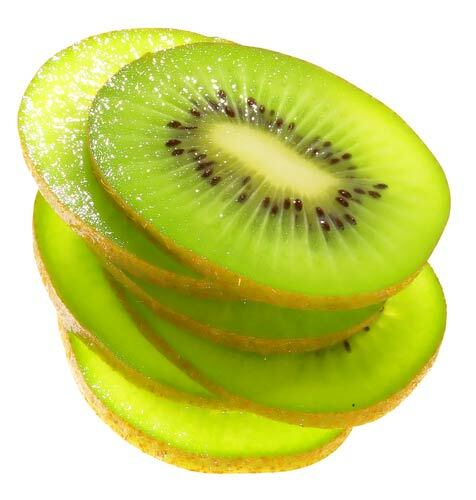 Also, kiwi fruits are highly valued for their increased content on omega 3 fatty acids which can be found in kiwi fruit seeds, and natural flavonoids, common antioxidants with the properties to protect our cells from aging-linked degeneration, including serious brain disorders and many common types of cancer. 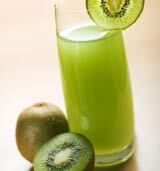 Check out more info about antioxidant powers of kiwi fruits here. It is interesting that a great number of research groups go on studying these amazing fruits and discovering new benefits and therapeutic values of those. This way, recently the findings of one more scientific studies were published revealing the fact that kiwi fruits should be considered an effective and powerful natural anti-depressant. As the experiments and analysis of the researchers have shown consuming just two organic kiwi fruits a day can help people improve their mood and prevent depression. The authors of the study, a team of the researchers from the University of Otago, New Zealand, were the first to discover anti-depressant properties of kiwi fruits, and the report about their findings was published in August issue of the Journal of Nutritional Science. For the experiment, the scientists invited 54 young people, both men and women, who agreed to participate in the study as volunteers. All of them reported having not chronic but occasional depression, and all of them also mentioned having a small lack of natural vitamins due to a reduced daily consumption of fresh fruits and vegetables as the sources of natural vitamins. The group was divided into two sub-divisions, the members of one were asked to consume a portion of kiwifruit equal to 2 fruits a day, and the members of the other group were asked to consume a portion equal to 0.5 fruit a day. After 6 weeks of the experiment, the participants were interviewed and asked thoroughly about the changes in their mood and possible depressive thoughts after going through the mentioned ‘kiwi fruit therapy’. It turned out that the participants who consumed 2 kiwi fruits a day started feeling more optimistic and energetic, less depressed and less affected by chronic fatigue syndrome, less nervous and less affected by anxiety. Therefore, the scientists concluded that eating 2 kiwi fruits a day should be considered a great natural protection against depression. The researchers explained the discovered phenomena by the effects of increased amounts of natural vitamin C in the body obtained from kiwi fruits. Vitamin C activated and normalized the processes linked to metabolism and helped to give more of mental and physical energy to the participants. At the same time, the researchers underlined that using special supplements with vitamin C will hardly bring to the same effects, and it is advised to use natural sources of this vitamin, like kiwi fruits or citrus fruits. For more details about impotence please go to Stenhård.com/viagra and find the best solution.